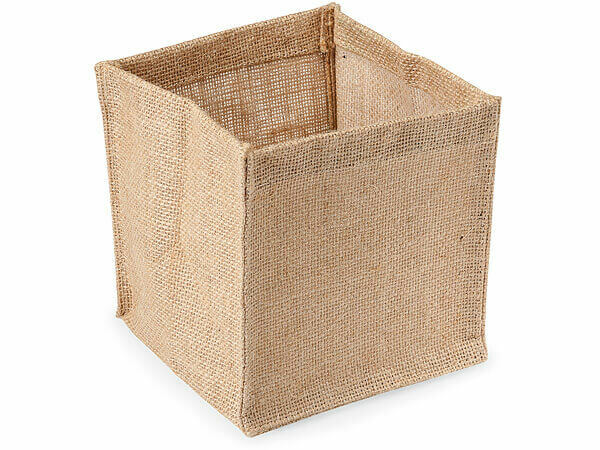 Natural Burlap Jute Container with Clear Plastic Lining, 6x6x6"
Our Burlap Basket Containers are made from 100% Jute and lined with a durable plastic laminate for water resistance. Use this natural square container for a rustic or shabby chic style event; it's an elegant accent for indoor or outdoor dinners. Use as a vase holder, centerpiece, or embellish with lace or colorful ribbons! Due to weight of material, container size may vary slightly.